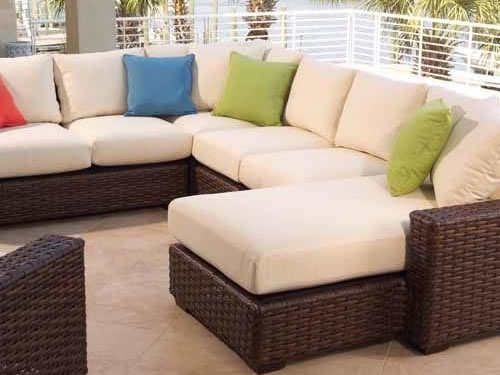 With the warm texture and rich color of rattan peel, the Contempo Collection offers the ultimate in outdoor living. Function and style are joined to create this one of a kind collection. The straightforward, clean design of the footed sofa and sectional collection features inviting, loose backs, comfort plush seating and extra wide arms for extraordinary comfort. Click here to view the full Contempo collection.